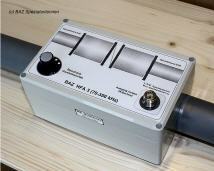 With BAZ special antennas can buy you around the clock comfortably by Internet - in whole simply from at home. Of course we are at any time for you there, if you have still consultations or further requests. Call simply our hotline: +49 (0) 6751 94 94 665 on or consignment you to us a fax: + 49 32 121 277 451. Naturally you can do us also by email: info@spezialantennen.com your questions and requests forwarding.